My name is Jim Daher (my last name is pronounced "Dare," as in "I dare you"). I'm an attorney in St. Louis, Missouri. I graduated from Truman State University, back when it was called "Northeast Missouri State University," with a Bachelor's of Science Degree in Psychology and a minor in Sociology. I received my Juris Doctorate from the Washington University School of Law in 1996. Since then, I have represented the legal interests of thousands of clients in and around the Southeastern part of Missouri. The focus of my practice is consumer protection law, and I am understandably proud of my exceptional success record. I have defended thousands of people in consumer law suits, and have successfully eliminated millions of dollars of alleged debt. 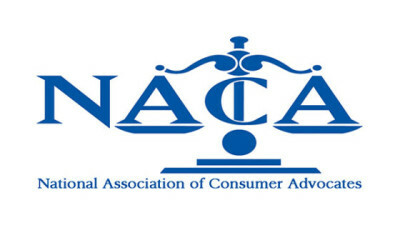 I am a member of the National Association of Consumer Advocates (NACA), and I have an A+ rating with the Better Business Bureau. I have taught classes to hundreds of attorneys and judges on issues of consumer defense litigation, collection company tactics, FDCPA litigation, and complex rules of evidence. Other attorneys frequently seek my advice and expertise on these topics. I have earned the respect of my peers; the respect of the attorneys who represent the collection companies; and the respect of the judges who decide these cases. I recently won one of these cases before the Missouri Supreme Court in an unanimous 7-0 decision. I pride myself on personal client service. I know that being sued can be intimidating. That's why I take the time to explain your case to you, so that you understand what is happening, and so that you feel comfortable and confident making informed decisions about your case.